The Zodiac Group is a highly renowned psychic network that is still in existent. They are the oldest service provider of this nature. They offer eminent and experienced network involving astrologers, psychic advisors, love experts, tarot readers, clairvoyants and even numerologists. They serve clients by offering accurate insights into their life and offer professional guidance. They even offer effective customer service facility that is opened all the time to answer the grievances of clients. In case of unsatisfactory results, the company even offers additional future reading service or even refunds the entire amount of the clients. The company came into existence in 1991. There are currently 0 consumer reviews about The Zodiac Group available. Share your review. Please take a note that you are about to post a public review about The Zodiac Group corporate office on CorporateOffice.com. This review will be public, so please do not post any of your personal information on this website. If you would like to contact the corporate offices of The Zodiac Group, please use their contact information such as their phone number, website, and address listed above to contact them. 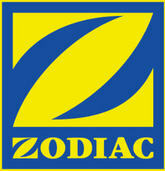 However, sometimes staff from The Zodiac Group headquarters do read the reviews on this website.